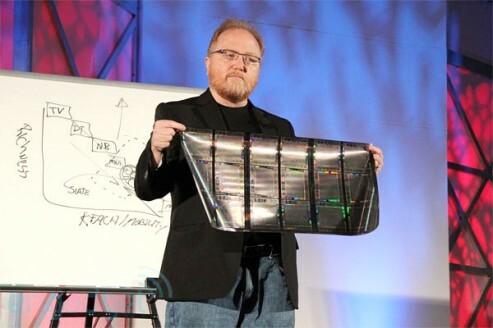 A flexible display for near future mobile communication gadget has been unveiled by Phil McKinney from HP, during the MobileBeat event held in San Francisco. The HP flexible display uses rugged Mylar-infused sheets pretty similar material that you would found on those solar panels, only this time, it could be used to display video using a technology similar to E-Ink display. The best part is, the HP flexible display will be able to hold an image even in no power state. No info if the flexible display incorporate solar cells technology into the flexi-sheet or using a brand new methodology of harvesting technology such as body heat or probably kinetic energy? Nevertheless, this is an encouraging technology for our human kind future, don’t you agree?